In what has presumably been attempt to keep its story from getting too confusing and to avoid having to have some difficult conversations with executives at 20th Century Fox, FX’s Legion has generally preferred to carefully sidestep any references to who the father of Dan Stevens’ David Haller really is. Of course, anyone who is familiar with the X-Men comics that the show is very loosely based on, who has maybe Googled “David Haller” to see what his deal is, or who has picked up the fairly obvious clues that the show has dropped over its last two seasons has probably already figured out that his dad is none other than Charles Xavier—a.k.a. Professor X, the bald guy with telepathic powers. Well, forget about all of the teases! With its final season on the horizon, Legion will soon be not only confirming that Xavier is indeed David’s father, but he’ll actually be showing up to his son’s softball game for once—which is to say that he’ll actually be on the show. 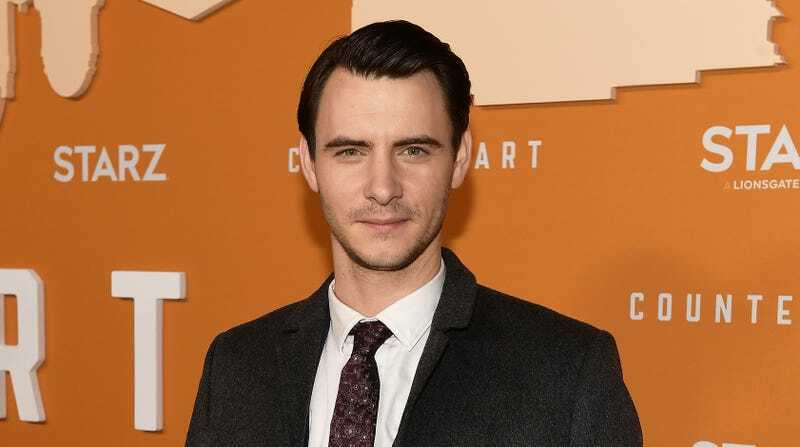 Series creator Noah Hawley confirmed the news recently, with the official Legion Twitter account going so far as to announce that Harry Lloyd will be playing Xavier while Stephanie Corneliussen plays David’s mother Gabrielle. Based on a report from The Wrap, the appearance from David’s parents may have something to do with time travel, and the fact that Xavier won’t look like Patrick Stewart or James McAvoy is being chalked up to the fact that Legion is the story of David’s “subjective experience”—meaning it could be set in the same universe as the movies, but David isn’t necessarily interpreting things in that same way. The Wrap also says that Hawley had always planned to put Xavier in the show’s final season, saying that it was something that required conversations “at the highest levels” and that the story couldn’t be told the way he wanted without securing an appearance from Xavier. Legion’s final season will begin this June on FX.